When parenting feels confusing and overwhelming, books can help us navigate our way. We have collected some of our favorite books that have helped us or our clients to understand our children and how to help them thrive. This page contains affiliate links. Please read our disclosure page. Books are small vessels that transport us to new places. Lands where we can discover knowledge and new experiences. New parents can feel like they have been transported all of a sudden to a foreign land and if your child is diagnosed with special needs that feeling is magnified. When parenting feels confusing and overwhelming, books can help us navigate our way. We have collected some of our favorite books that have helped us or our clients to understand our children and how to help them thrive. When I was a new parent I felt overwhelmed. Connecting with other parents and voraciously reading parenting books helped me feel more in control. After all, knowledge is power and learning from experts and people who have walked the same path is invaluable. Whether you are looking for comfort or insight it can be found on the pages of a book. 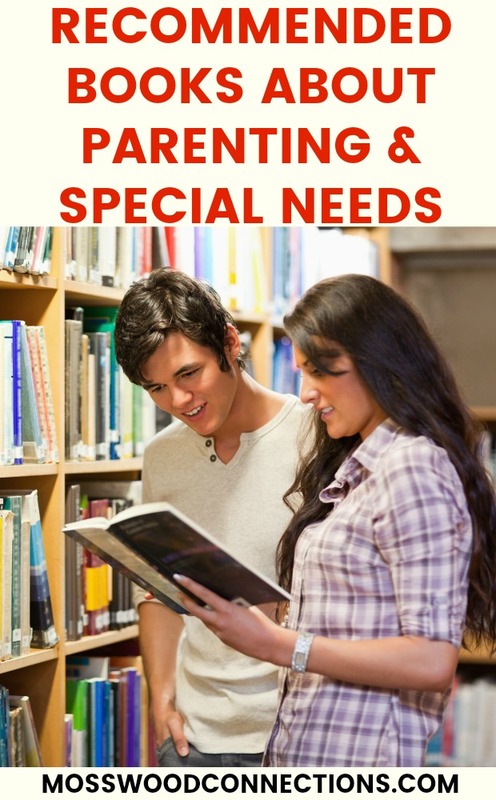 Here are our recommended books for parents, special needs, and child development. We use books to teach our clients new concepts, to help develop language skills, and to spark their curiosity. We always have fun creating our book inspired extension activities. Stop by our Picture Book Page and check out all our fun lessons, printables, and games! We do a lot of reading with children. Reading books is a wonderful way to introduce children to the world. Without books, our children would never know about people and places that are so different from them. Books also provide comfort and guidance for those situations that our children may struggle with. Reading about a character who is wrestling with the same problem is both comforting and helpful. Visit our Young Readers Page and discover some new books along with fabulous hands-on activities, discussion questions and writing prompts. I have to admit, some of my favorite activities are on this page. Many of the activities were developed organically while reading these fabulous books with our tween book club. We had so much fun with our hands-on learning activities. Exploring books in this way makes literature accessible for any type of learner and helps even the most reluctant reader to enjoy exploring literacy. Create your own book club, use our Intermediate Book Lesson Plans and Hands-on Activities and see how much fun the kids will have while they learn.